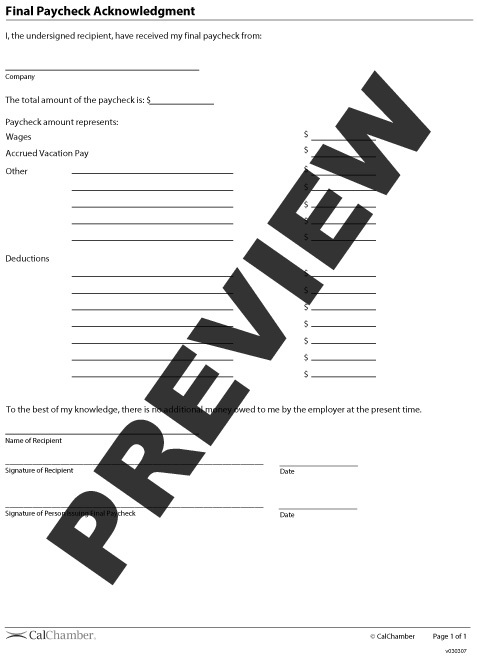 Use this form to have an employee certify receipt of final paycheck. 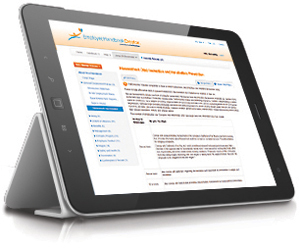 The form ensures an employee receives all earned and owed wages on time and provides documentation for his or her personnel file should a dispute arise at a later date. 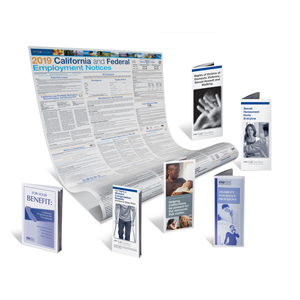 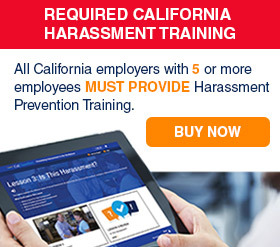 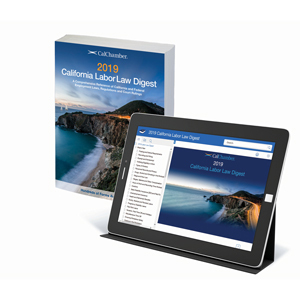 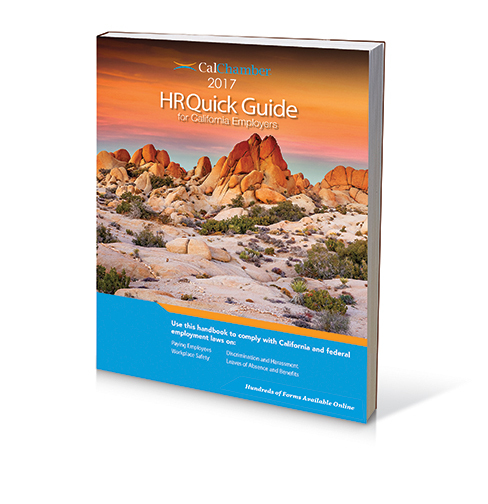 Created for California employers but useful across the entire nation.